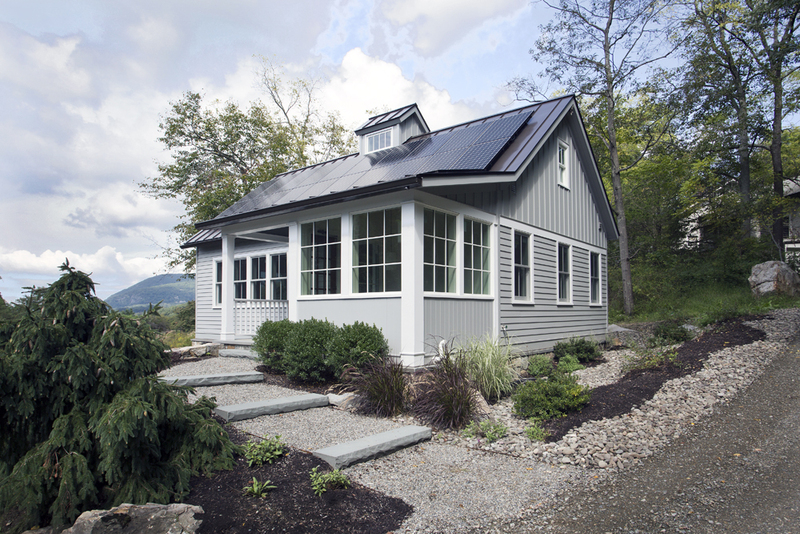 1000 Square Foot House — Jeff Wilkinson, R.A.
A thousand square foot house run primarily on solar power. 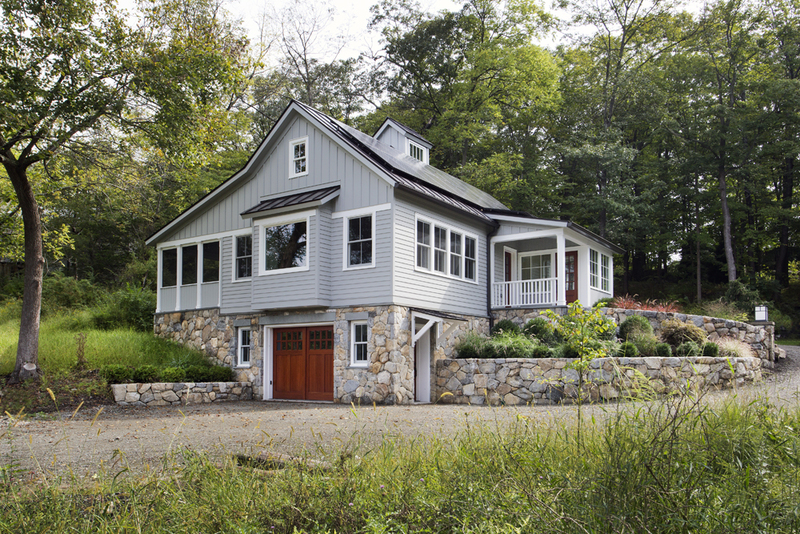 The residence is nestled into a hillside and captures amazing views of the Hudson Highlands. It will employ a 10KW solar panel array with a back up battery system. Site stone will be incorporated the foundation and retaining walls. A clerestory and screened porch will create a chimney effect to enhance natural cooling.